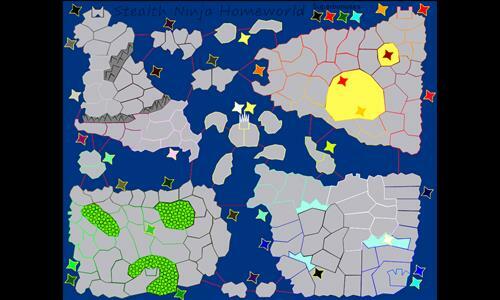 Enter the Lands the Stealth Ninja Clan Call home! Review by Flannelfiesta on 8/23/2013. Nice use of chokepoints to alter the flow of the game. Review by Darrenb209 on 8/8/2013. It's a good map, although I've found the area in the top left far too easy to conquer. Review by pooplicker on 8/23/2013. Review by Yoda on 12/4/2013. Review by andrew on 1/7/2014.